IPhone IOS 5 Released and available for update through itunes. IOS 5 is realeased on apple.com. You can update your current Iphone OS (IOS) version 4.x.x to 5 using itunes. Hardware support is for iphone3gs and iphone4 and obviously for iphone5(selling starting from Oct 14). So this release has happned 2 days prior to Iphone 5 release. Remember to back up your apps on itunes before the update. In case you feel not so comfortable for the update wait for a while as already many users are reporting stumble block for the upgrade. These reports come from cnet news and other sources. Can't wait to tap the 200 new features on IOS. GITEX is an acronym for Gulf Information Technology Exhibition. Gitex dubai is an annual consumer computer and electronics trade show in Dubai. 2011 Dubai Gitex technology week is supposed to take place from 9th to 13th October 2011. Gitex has 2 main attractions at 2 different venues - namely Gitex Trade show and Gitex shoppers. Gitex Trade show is mostly a business to business event. which is open during the day time and IT / Electronics companies from around the globe has a presence there. On the other hand Gitex shoppers targets consumers for retail sales. You get one of the best deals on laptops, mobile phones, digital cameras, tablets, netbooks, printers, LCD/LED/Plasma/3D TVs and any electonic gadgets you need. Every year Gitex is the venue of many product launches. 2009 GITEX date - 17th - 21st October 2010. It attracted 150,000 visitors from 121 countries around the world. Dubai Gitex Shoppers 2011 started from 8th and will last till 15th. The timing is from 10AM to 10PM and on the last 3 days its extended till 11PM. Last years sales reached 170 million. Organizers expect it will be better this time. GITEX Shopper is a consumer electronics Expo and is the largest gathering in this part of the world. It is the largest and most popular technology retail event in the region. Visitors from around the world not only Middle East but also European, American, North African, East Asian and Indian subcontinent visit the Expo with great enthusiasm. Gitex offers are well avaited among electronic gadget enthusiasts. For local commute use the Dubai Metro. From Rashidiya metro station there is a free feeder bus from and to the Dubai Gitex shoppers paviloin. For Trade show the closest Metro station is Dubai Trade center metro station. Abu Dhabi Mall, located in Tourist Club area near the Beach Rotana Hotel and Towers. It has Four floors with shops 200+ shops, 40+ restaurants and McDonald's and Starbucks, Cineplex cinemas and Abu Dhabi Cooperative hypermarket. Open from 1000 to 2200 (to 2300 Thursday) and on Fridays 1530-2200. Hypermarket 0800 to midnight, and some restaurants are open to 2300 or 0200. Phone: +971-2-6454858 (customer service) / +971-2-6457733, Web www.abudhabi-mall.com. Opened in April 15, 2001 with a total area of 200,000 square meters it is the largest mall in Abu Dhabi. It includes Cellucom retail stores, supermarkets, Jashanmal, PAN furniture Emirates, Paris Gallery, and Salam Fayyad, studio photography and shops of peace, Virgin Megastores. Abu Dhabi Plaza - Its not like other shopping malls around. Al Raha Mall - Located on the Dubai - Abu Dhabi highway next to the Al Raha Beach Villa Complex, tel: +971-2-5561181. It includes a hypermarket, food court, about 100 retail shops and a center for family entertainment. Run by EMKE group Line Investments and Property LLC. Al Wahda Mall - Located on Airport Road. It was opened in 2007 near Al Wahda Sports and Cultural Club. It has Lulu Hypermarket (open hours: 0800-2300), Magrudy's library. It has around 15 shops. News is around they have plans to expand. Website www.alwahda-mall.com, and not. Phone +971-2-4466622, fax +971-2-4455522 July 2007. Run by a EMKE group (Line Investments and Property LLC). General Manager of Al Wahda Mall is Muhammad Noman Thakur. Arzanah shopping mall (unconfirmed sources) - Near the Sheikh Zayed Mosque. Developers - Majid Al Futtaim (MAF), and Capitala (a joint venture between Mubadala Development in Abu Dhabi and Capitaland in Singapore). Central Fish & Vegetable Market - Located on new airport road. It will have fish and meat shops on the ground floor, and other shops on the upper floors with seafood and specialty restaurants. Line developer and investment manager, real estate, LLC (Group EMKE). Run by EMKE group Line Investments and Property LLC. Dalma Mall located in Industrial City of Abu Dhabi (ICAD) en route to the Mussafah / Mussaffah. It will have a large Carrefour supermarket, and 560 shops, 14 Screen cinemas, nurseries for children, food court, and children's play area. Other stores include BHS, Centrepoint, Home Centre, Port of ICA, Marks and Spencer, Toys 'R' Us, and Zara. Website: www.dalmamall.ae, Phone: +971-2-6814399. Deerfields Town Square / Deer Fields Shopping Center - location in Al Bahia. Website: www.deerfieldstownsquare.com. Tel : +971-2-4443522 (Abu Dhabi) / +971-4-3315033 (Dubai). Madinat Zayed Shopping Centre & Gold Centre (MZSC), Tel: +971-2-6318555. 200+ Retail stores and 60+ gold and jewelry shops. It is the largest shopping mall in Abu Dhabi along with the Abu Dhabi Mall. It has Homes R Us, Daiso (Japanese shop), and Abu Dhabi Cooperative Society supermarket. It has expansion plans to increase the number of stores to 400. Run by a EMKE group (Line Investments and Property LLC). Marina Mall Abu Dhabi, Located near to the Emirates Palace Hotel and Corniche, Tel: +971-2-6818300. Opened the first phase in March 2001 with 160 stores and 70,000 square meters, opened a second phase in February 2006 with 180 shops and bowling and indoor snow park. 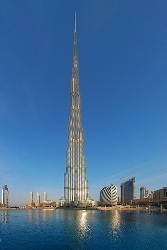 There is a 10 floor Marina Mall Tower (Burj Al Marina) with a luxury restaurant called Tiara at the top. Also it hasa Columbiano cafe there. Mazyad Mall - Located in Mohammed Bin Zayed City, (between Khalifa City and Mussafah). It is close to labour camps and entry to families is restricted to weekends. Website: www.mazyadmall.com . It includes Lulu Express supermarket. Food and beverage outlets include Applebee's Neighbourhood Grill and Bar, La Brioche Cafe, McDonald's and Subway. Run by a EMKE group (Line Investments and Property LLC). Its also called Maziyat Mall. Mushrif Mall (Mushriff Mall) in Abu Dhabi. Run by a EMKE group (Line Investments and Property LLC).. Phone: +971-2-6427100, location map. It will have 200 shops, including Lulu hypermarkets, and a large food court. It will also include indoor water park called the Ocianic. Website: www.mushrifmall.com . Some call it Musharraf Mall too. Yas Mall - a shopping center on the island of Yas which is under construction. Developer - ALDAR Properties. Main store would be IKEA Abu Dhabi and Geant Yas Island. Al Khalidiya Shopping Mall - See Khalidiya Mall. Al Muhairy Center (Al Muhairi Center) - a small mall with 20 stores in Khaldiya Zayed Road 1 corresponding to the Cultural Foundation, Tel: +971-2-6322228, Web www.almuhairycentre.com (with music!). Al Raha Gardens Village Center - community shopping center which include ATMs, community hall, gymnasium and prayer rooms, supermarket, cafes and restaurants . List of shops, including Avila supermarket, Arabic restaurant, boots Pharmacy, Claire's Accessories, Grand Optics and Jones the grocer, Modern National Laundry, Mothercare, Pace e Luce Ladies Salon, Pace e Luce Gents Barber, Pets delight, Tasti D Lite, Tele Pizza, Tip Top Nail Bar, Zyng Asian Grill. Paragon Bay Shopping Center / Paragon Point - Al Reem Island. Raha Shopping Mall - see Edessa Mall. Safeer Mall, Abu Dhabi- Al Safeer Center and Grand Safeer Cineplex at Mussafah, near the Cambridge high school. It has supermarkets, 4 screens cinema, jungle bungle entertainment center. Owned by Al Safeer Group. Sun and Sky Towers, located in Gate District, Shams Abu Dhabi, Al Reem Island - part of Sorouh development. The Galleria at Sowwah Square. Located on Sowwah Island. 9712 BMC shopping mall (under construction) - Located at Mohammed bin Zayed City, Mussafah. Estimated 100,000 square meters (square 1.1m feet) with 350 shops, food court, hypermarket, children's play area, etc. Here is a list of Colleges and Universities having campuses in Dubai. Many of these universities are in Dubai Knowlodge Village. This list of universities and colleges would be updated with more details. In case you have more details on any colleges and universities please leave a comment below so that it helps others. Dubai has some of the top universities in the region.